How do I find the right fly line for trout fly fishing? - Which trout line is right for me? Nowadays, it is becoming increasingly difficult for a fly fisherman to find a suitable fly line for trout fishing. The amount of different lines is huge and barely transparent. The market for fly lines is full of all qualities and all price ranges. 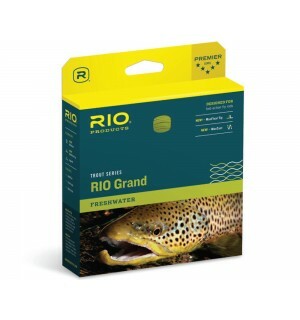 The fact is that for many years RIO has been an acknowledged as a true expert in the field of fly-fishing and is driving forward the development of modern fly lines. This high class fly line specialist offers only products that has something to do with fly lines and have done that for many decades. 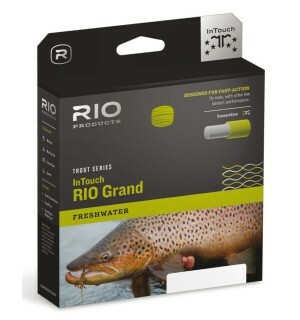 In addition, when it comes to fly lines, RIO always wants to be one step ahead of its competitors in offering absolutely innovative and contemporary fly lines. 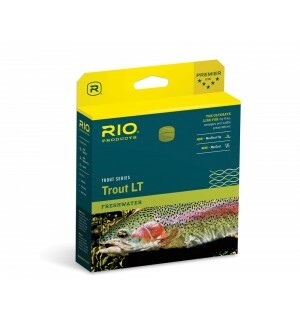 RIO has developed its own technologies to make the fly lines better. 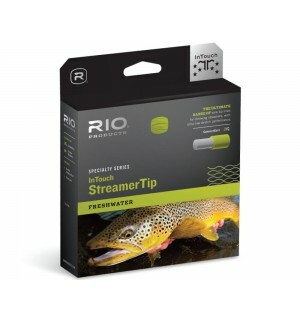 RIO fly lines focuses on making lines that are better to throw, better to fish with which ultimately culminates in even faster and controlled fights. In addition, modern fly lines should also be robust and durable. 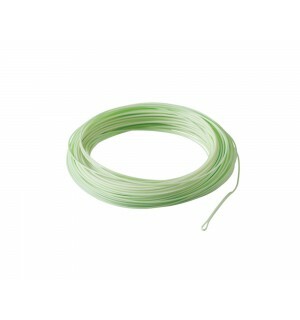 Overall, the requirements for fly lines are already very extensive. Now come the wishes and ideas of the individual trout fishermen for the most different conditions. One fishes at a small stream, the next fishes in the mittel of an mountain range in a fast flowing water and another fishes in a large trout river on the flat plains with calmer water. All fishermen ultimately fish for trout and grayling and still have completely different requirements to their fly line. That's why RIO offers a line range that is unparalleled worldwide! 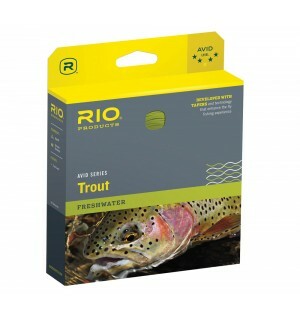 The company RIO is located in Idaho Falls (Montana, USA). This means that the company is surrounded by some of North America's best and world-renowned trout rivers. From the small creek to the well-known, large trout river, virtually everything is on the doorstep of the company headquarters. For testing and development of new trout fishing products they do not need to drive very far as the test waters are just around the corner. 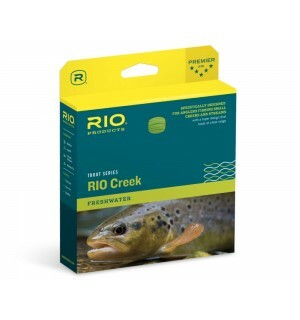 With this in mind, RIO has managed to offer the perfect line for every trout fly fisherman. The choice of the right fly line depends on factors such as water structure, depth of water, bait size, personal throwing abilities, and the rods used. These lines can be used worldwide for trout and grayling. With one of these lines you are well equipped everywhere. This line with a long belly ensures the smoothest presentations on medium and long distances. It is outstanding in the air and is a real pleasure in fishing. 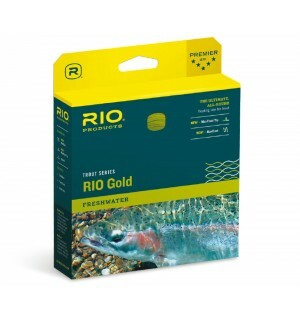 The RIO Gold is therefore one of the best selling trout lines worldwide. It impresses with small, welded loops in both ends of the line, its Laser ID - the line class are printed on the line coating. A Floating Max Tip is a specially treated tip that floats especially well and high. You can not go wrong with this line! The InTouch version has the modern, low-stretch core. The line with a shorter belly, ideal for medium to large waters, high sensitivity and absolutely direct contact with the fish. The InTouch technology provides with its low-stretch core a more direct contact with the line when throwing, fishing and fighting fish. Small, welded loops on both ends of the line, Laser ID - he line class are printed on the line coating. This line is perfect for those fly fishermen who want to feel the tug of a fish taking in the rod. This is due to the slightly shorter belly compared to the RIO Gold. This line is designed as a beginner or second line. 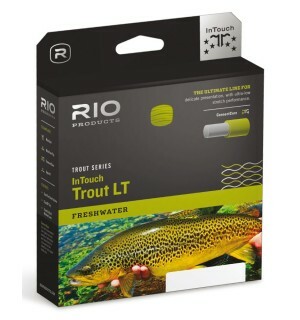 The line throws easily and is ideal for trout fishing. The line has only a front loop for looping in the leader. This line is perfect for small and medium sized waters. Especially with the SAGE Dart rod does this line fit extremely well. This line is available in line classes # 0 to # 4. 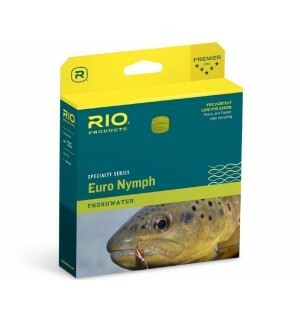 It is specially developed for the fine and light trout fishing with dry flies and nymphs. The belly structure ensures a quick loading of the rod at short distances. If you have a small trout stream at home, then this is the perfect line for you! The casting weight of this line is about half a line class higher than other lines. It better loads rods with fast action. The line features a long back taper for comfortable roll casts and a front tapper that allows a gentle presentation. Small, welded loops in both ends of the line. 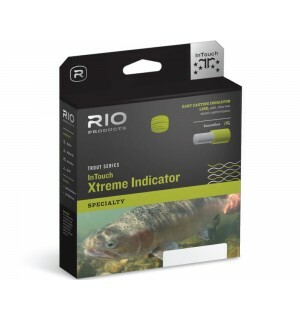 This line is perfect for fly fishermen who prefer nymph fishing, with or without a strike indicator. The short belly of the cord transports nymph systems with ease and successfully loads rods with just a false throw. Through RIO's low-stretch ConnectCore, this line allows for better timing when throwing. It is easier to lift from the water and can be more precise. In the foremost part of the line is a fluo. orange strike indicator integrated. Small, welded loops in both ends of the line are also integrated. 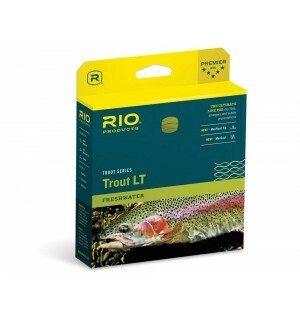 The RIO Trout LT is a perfect line for fishing with dry flies, emergers and smaller nymphs. It has a long, fine tip and thus allows precise and finest presentation. Roll casts are perfect with the Trout LT. The line is optionally available with InTouch technology (low-stretch core for more direct contact). 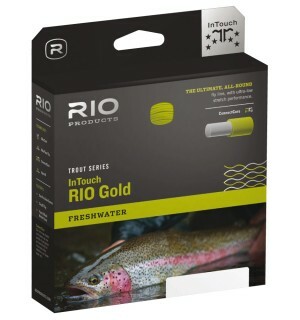 The RIO InTouch SinkTip lines are perfect for any trout streamers fly fishermen who want to get their streamers down. 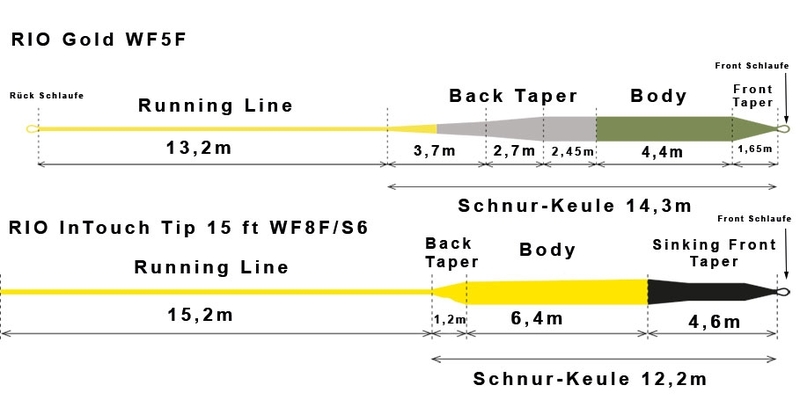 Here the fisherman can choose between 3 versions: clear top, 15 ft. (5 m) sinking tip or 24 ft. (8m) sinking tip. All InTouch Sink Tip Fly Lines feature a low-stretch core for the most direct contact with fish and fly. RIO´s new, ultra-sophisticated line coating redefines floating line performance. Made with a groundbreaking proprietary formula, MaxCast lines float higher, shoot farther, last longer and stay cleaner. The secret? The coating’s advanced hydrophobic chemistry, which actively pushes water away from the line, resulting in radically improved floatation and reduced dirt adhesion. This proprietary process allows RIO line designers to optimize the specific performance of each line. For example, AgentX floating lines can use an inner layer with more buoyant microspheres, while the outer layer is formulated for maximum toughness and shooting ability. AgentX means the best of both worlds in a single fly line. When you rely on touch to know what’s going on in the depths, line stretch is the enemy. 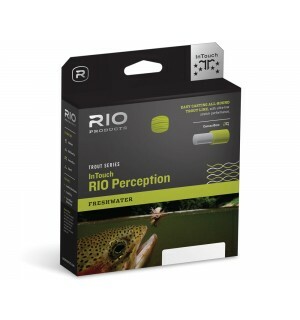 RIO´s ConnectCore lines open up new worlds of perception and sensitivity with ultra-low stretch performance. Soft, subtle takes become positive grabs, and without stretch to dull reaction times, hook sets are instant and sure. ConnectCore. The secret weapon for success. The majority of modern fly lines feature a taper at the front end, which ensures that they cast smoothly and land on the water without too much impact. With sinking lines and sink tips, this taper creates a small problem; as the line gets thinner the amount of coating on it gets less. The coating is what makes a fly line sink, so as the coating is reduced, the sink rate slows down. Usually this means a tapered sinking line sinks in a curve - with the thicker, heavier and denser body section sinking faster than the tip - not good for controlling the depth, and especially not good for detecting a take, or setting the hook. 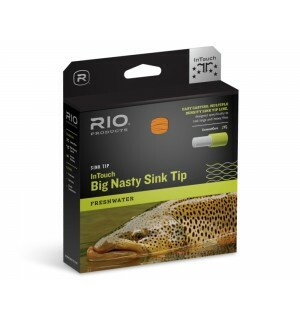 RIO's Density Compensation adds a more dense material to the thin tip, which ensures the line sinks straight - better for knowing when a fish takes the fly, and far better for setting the hook. 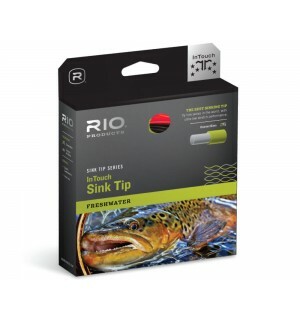 All RIO's premium tapered sinking lines and sink tips are Density Compensated. Through RIO's pioneering achievement, a groundbreaking process has been developed to fuse string ends into loops. Looped lace tips float better and allow for quick change of leader pockets. Almost all strings (please refer to the respective string diagram) are delivered with the Welded Loops.